John Winn was born about 1816 and we believe it was in Tennessee or Mississippi. We also know that he came to Texas rather early because his first child was born in the Republic of Texas in 1841. He was one of Waco’s first residents and served as one of its first mayors in 1870. He was a Confederate veteran who came here from Mississippi and in 1854, was a charter member for Waco Oddfellow’s lodge. He had a store downtown on the Square. In 1864, he was the tax collector for the Confederate district of Mclennan County. 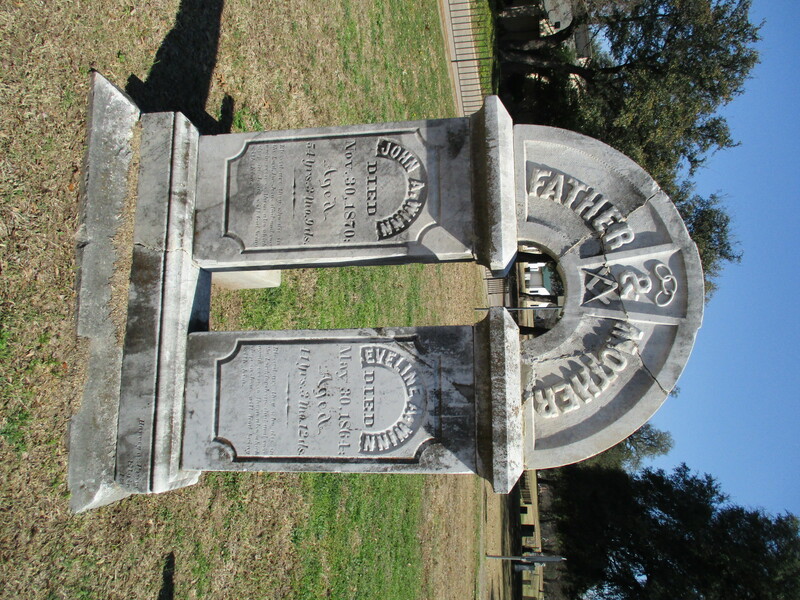 At his death in 1870, he became one of several 92 men to be buried at First Street Cemetery which is now in front of the Texas Ranger Museum. His arched gravestone is very impressive and has a square and compasses at the top.